Book a minimum of three consecutive nights' by 30 June 2019 and your third night is on us. All new bookings made on anantara.com for stays until 22 December 2020 receive a food and beverage credit of USD 75 per stay until 22 December 2020 (rooms only). Stay 7 nights or more and enjoy complimentary dinner for two persons every night. Villa bookings receive one 60-minute couples' spa treatment. The above benefits do not apply for stays between 23 December 2019 and 5 January 2020. Reservations made using any promo/corporate/group codes or team member rates are not eligible for the above resort credit. Book a minimum of three consecutive nights’ stay at the award-winning Anantara Peace Haven Tangalle Resort and your third night is on us. 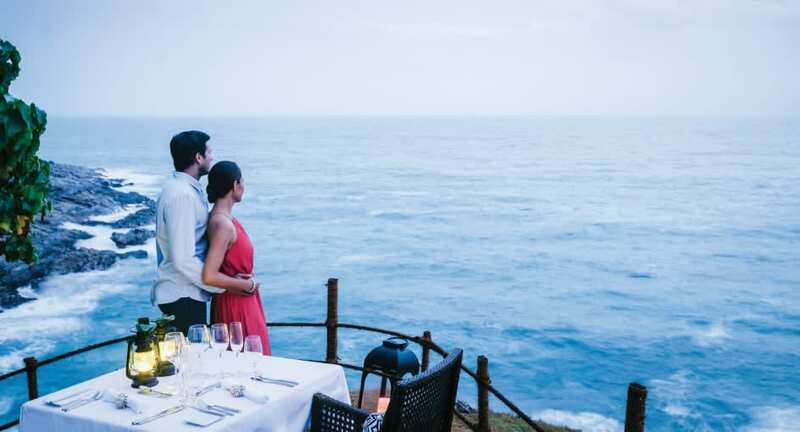 Perched on a rocky outcrop along Sri Lanka’s southern coastline with spectacular Indian Ocean views, our resort offers an exclusive hideaway with iconic experiences. Your beachfront getaway, recognised as one of the best new hotels in the world 2017, awaits you. Applicable only for Premier Ocean View and Garden Pool Villa room types. Above rate is subject to 29.08% service charge and government tax. Rate quoted is the average rate per night after the complimentary night has been applied, subject to seasonal variations and change without notice. Rate noted above is based on recent currency exchange data. The rate indicated on your confirmation is in the official hotel currency and will be charged at that rate at check-out. Minimum 3-night consecutive stay required. Complimentary night must be used in conjunction with initial stay and cannot be combined with any other offer.